Welcome to the Expats Career Webinar, my name is Chris Pyak and I’m very glad that you joined me here today. Especially since it such a beautiful summer day and I know you probably would like to be outside in the sun. Watch the second part of the Expats Career Webinar with Chris Pyak here. This is when Iook into this camera and on Facebook live. This is when I look into this camera. So, if I look sometimes from one side to the other, that’s because I switch between the two channels. Ja! What do we want to talk about? I will do this webinar a little bit different than my usual webinars. Usually I give you a lot of facts about the German jobmarket. And the struggles that expatriates face here and offer some solutions. But today I want to focus only on a few topics. 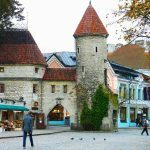 The two, three topics that are the number one reason why expats fail in the jobhunt here in Germany. 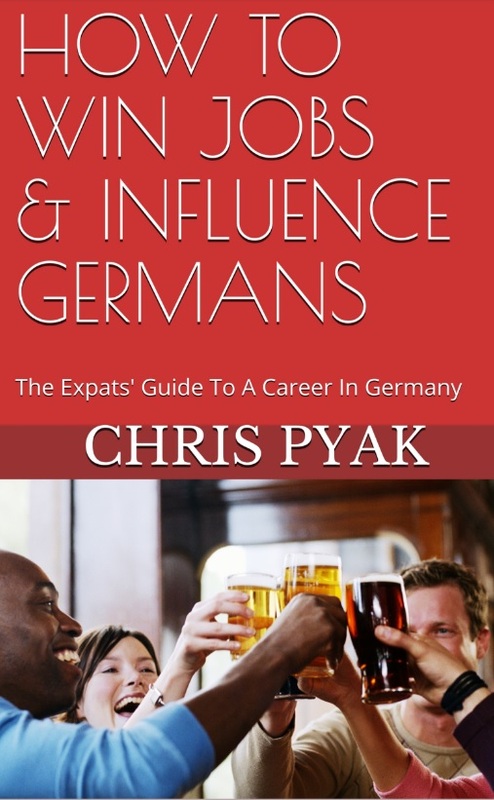 I know from the work that I have done over many, many years now with expatriates, that you are usually very well educated, you have great work experience, you have a long list of achievements and still, you seem not to get your feet on the ground here in Germany. 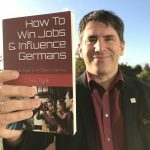 And in a few minutes, you might understand better why this is the case – and I promise you by the end of this webinar you will have a few ideas what you could do different to get better results in your jobhunt here in Germany. 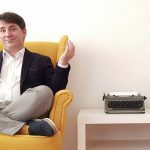 I will also offer you the opportunity to ask a few questions in the end of the webinar so we can have a short exchange about your most pressing questions. I would kindly ask you to hold your questions until the first half of the webinar is over this will take about 10-15 minutes. And then I will be able to answer your more specific questions with the basic information that you already got by then. Okay? Shall we get started? This is where it all starts for you. This is your cover letter, your CV that you send to German employers to find a job. And from your perspective the cover letter looks like this. It’s short, it’s specific, it’s very brief and it’s the most perfect thing in the world because you spend a long time thinking about it, preparing it as careful as you could. Still: After sending out 50, 100, 150 of this cover letters you don’t even get an invite for a job interview. No matter how careful you prepare your application from the perspective of a HR manager you are just one out of a hundred people who apply. And if you want to get ahead, if you want to be the one that I am invite for an interview. And, my main goal for this webinar is to help you understand how you can achieve this. How you can stand out of the crowd so that you have a better chance to get a job interview and be successful. Why is this so important? You might know that the labour market in Germany is getting better and better for professionals. We have a very old population and now starts the time when more and more of the babyboomer retire. In the next ten years alone we will need six million professionals just to replace retiring babyboomer. We have at the moment 680.000 open jobs. But, for you – if you don’t speak fluent German – this is not neccessarily helpful. Look at this graph: Do you see the big, red donut? 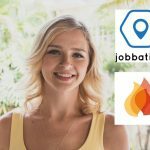 This is the complete German jobmarket. 680.000 jobs. Now look at this tiny, yellow spark here. Do you see that? This tiny yellow spark is the number of job offers that are in English in Germany. My company, we scan the complete German jobmarket We scan more than 40.000 career websites, company websites, career blocks and so on and we filter out all the English job offers that we find. And we put them on one site – on www.immigrantspirit.com where you can search for them and on one site you find all the English job offers in Germany. And that’s the problem. All the English job offers in Germany: They are just three percent of all job offers. 680.000 jobs in Germany – only 20.000 are in English. If you know that every single year more than one million people move to Germany then you understand: This one million people, they all compete for the same 20.000 jobs. And additionally you also compete with every German person who intends to apply for this job. Because we might speak English with a beautiful TSCHÖRMÄN äkzent – just like me – but we all speak English as well. By the way: As you noticed I have a wonderful TSCHÖRMÄN äkzent when I talk in English and I intend to talk in this beautiful äkzent for the rest of this webinar. It’s good training for you because you want to work in a German company so you will meet many, many nice German colleagues who will talk with you in this very beautiful language.